Almost casually, BMW CEO Harald Krüger confirms the name of the next i-model – the BMW i4. Ahead of its press conference today at the 2018 Geneva Motor Show, the BMW chief talked about the electric offensive planned through 2o25 while slipping, intentionally, the i4 name. “By 2025, our global vehicle portfolio will include 25 fully- or part-electric models. 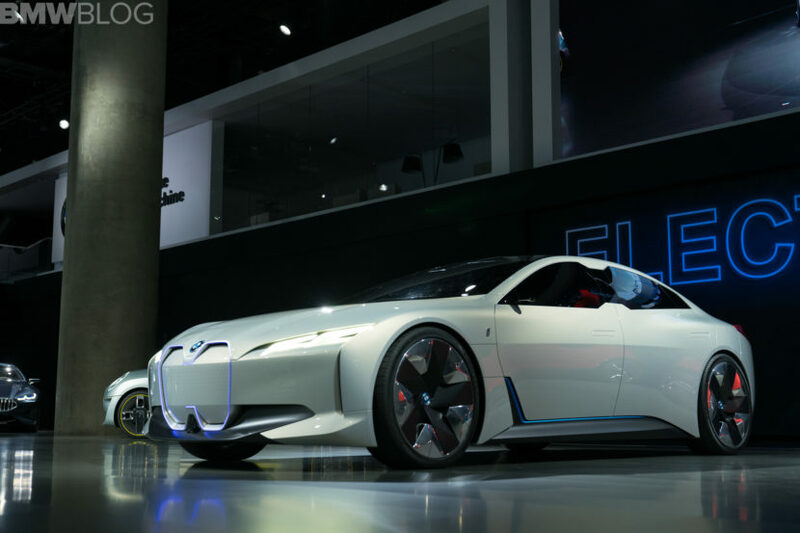 At last year’s Frankfurt Motor Show, we unveiled our take on the future of e‑mobility with the BMW i Vision Dynamics. This vehicle will become reality: we will build it in Munich – as the BMW i4,” Krüger added. The next i-model will be coming to dealers at the beginning of the next decade as a production version of the BMW i Vision Dynamics. The concept was unveiled in Frankfurt last fall and it was believed that it will replace the current conventionally-powered 4 Series Gran Coupe. It remains to be seen whether that remains true, but for now, the i4 name seems to be set in stone. An i4 Gran Coupe naming conventions is also quite possible, but that’s our speculation at the moment. In addition to the name, the short quote from Harald Krüger also reveals the location for the production of the i4: The new electric vehicle is to be built at the Munich headquarters. This not only strengthens the BMW Group’s home state of Bavaria, but also sends a clear signal to Germany as a location: with BMW i3, i8, iNext and i4, the most promising vehicles from the world’s leading supplier of premium automobiles will continue to be built in Germany. At the premiere of the i Vision Dynamics, the Munich officials announced that the four-door coupe will have a range of around 600 kilometers. The sprint from 0 to 100 km/h will come in 4.0 seconds and the maximum speed is limited to 200 km/h. Do you happen to know when the i4 will be available? Would that be 2021? That’s an awful long time away. 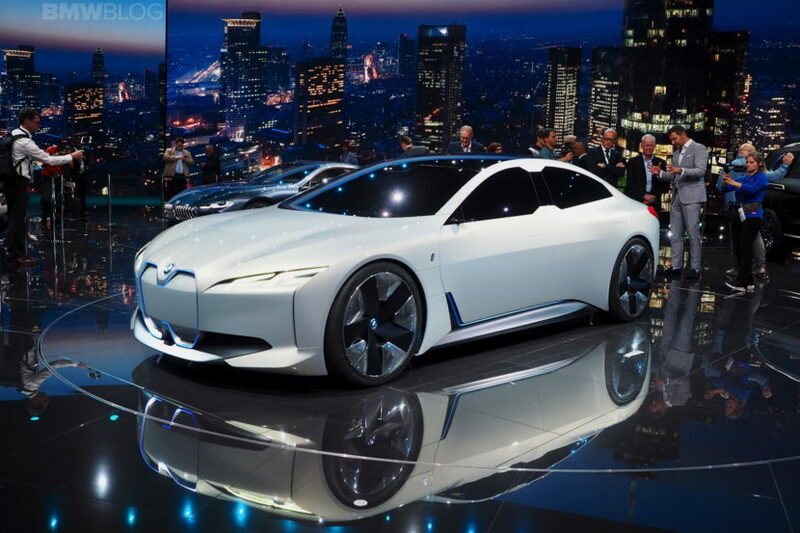 If that’s what the i4 is going to look like, BMW is in big trouble… Beyond hideous. Back to your 20th century cellar, hideous. He’s delivered more Model 3s than BMW will deliver i4s in 2018, 2019, and 2020. I live in the 4th largest market in North America, have seen 1 – in the basement of the Toronto Car Show last month, with the other limited production vehicles. BMW produced their 100,000th i3 last year. SoCal is not the real world, e.g. Kardashians, Hollywood. a little over 1000/week. Starting to climb middle of S curve to 5000/week. Model X/S’s are continuing double digit growth where other luxury gas car manufacturers not so well. Suddenly everyone wants a piece of the EV pie, especially with China and Europe forcing automakers to change their ways. I think this is worse R&D designe.